North Korean officials were more taken aback than they let on after leader Kim Jong-un's summit with U.S. President Donald Trump in Hanoi collapsed, South Korea's spy agency told lawmakers. 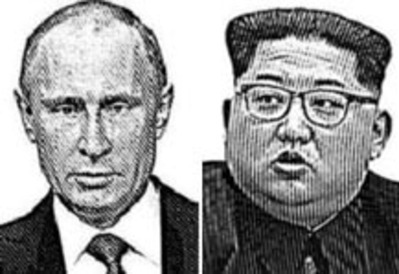 Now that Kim has returned to Pyongyang, "it will take quite a while for them to review what happened to the summit," a National Intelligence Service officer was quoted by lawmakers as saying Tuesday. But the NIS added Kim had made thorough preparations to prevent a coup in his absence, the longest since he took power. "Before his departure, Kim had banned the use of airports and firearms, as well as suspending all military drills," a lawmaker said. 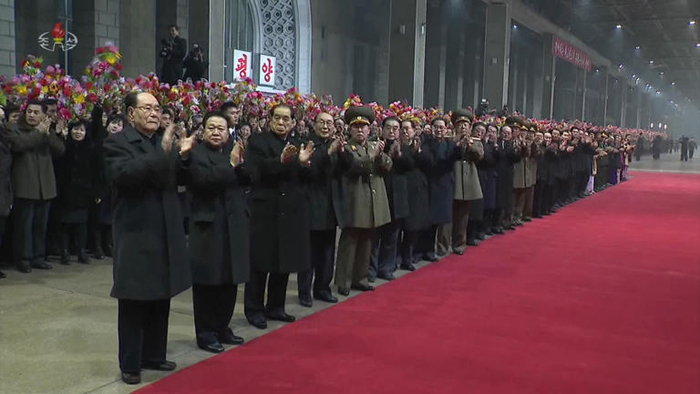 North Korean officials welcome leader Kim Jong-un at a railway station in Pyongyang on Tuesday, in this grab from the [North] Korean Central News Agency. Lawmakers asked NIS officers if Kim Hyok-chol, North Korea's chief negotiator in talks with U.S. officials, might have to take the fall for the failed summit and be purged, but the NIS only said it is "very closely" watching developments. The NIS said it is too early to tell whether Kim will visit Seoul in the foreseeable future. It added that the North has been restoring the roof and doors of facilities at the Tongchang-ri missile test site, which it ostensibly destroyed last year.